Ever since Samsung unveiled the Galaxy Beta Program for its flagship devices, Updato has been covering the news at every step. We have already kept you well informed of all the updates, and now we present more info on the fifth Nougat beta update for Galaxy S7 and S7 Edge. This is the fifth Nougat beta update, which has been released rather swiftly after the update rolled out last week. 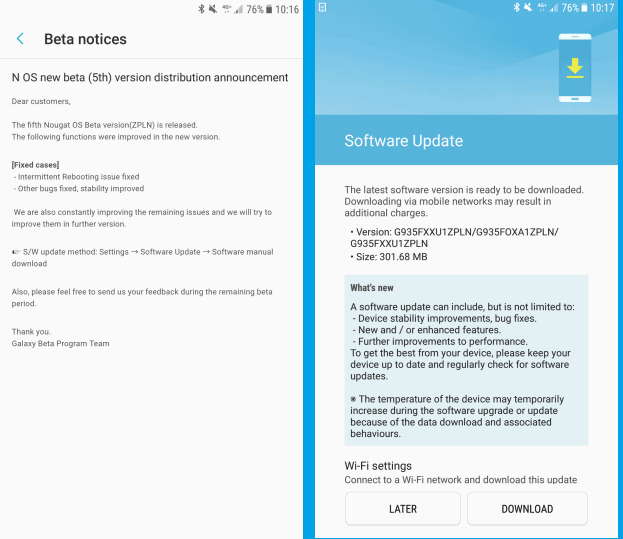 The current OTA update is being sent out to users who are a part of the Galaxy Beta Program in the UK and South Korea. However, this closed-beta update should soon roll out to regions such as the United States in the coming days. As the changelog of the latest Nougat Beta update suggests, some highlighted issues such as intermittent rebooting have been fixed, along with other stability improvements and bug fixes. Moreover, one of the noticeable visual changes that users have confirmed in the fifth Nougat Beta update for Galaxy S7 and S7 Edge is the transparent notifications on the lock screen. 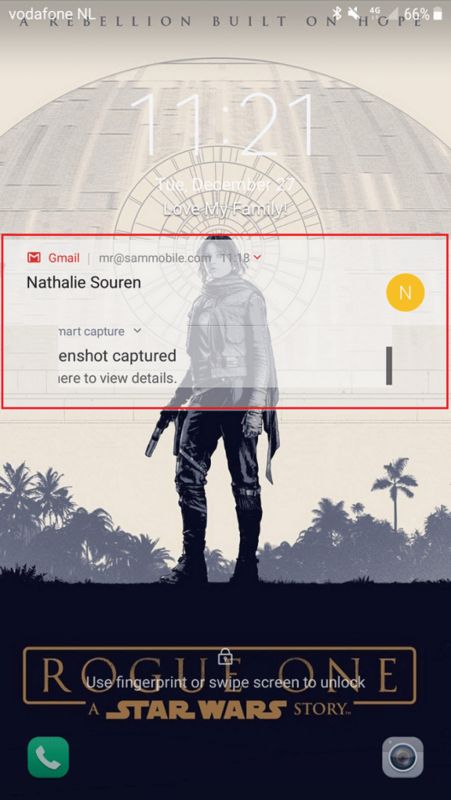 This means that no matter how many notifications pop up on your display, the wallpaper will always be visible regardless. The update is sized at 301.68MB and eligible users should be able to see the OTA update notification soon. You can also go ahead and download the OTA update manually by heading over to Settings->Software Update-> Software manual download. If you find any new noticeable improvements in the UI or the functionality of your Galaxy S7 and S7 Edge with the latest update, do share it in the comments section down below.